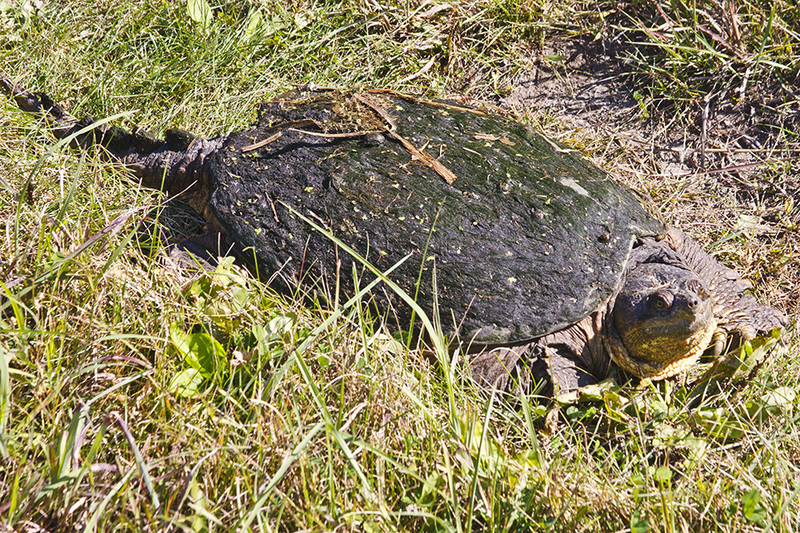 This is the largest turtle species in Minnesota. 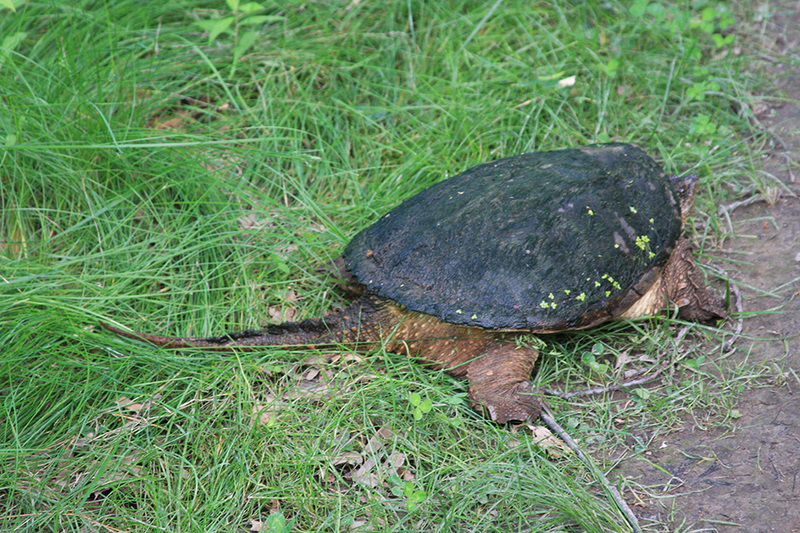 The tail is almost as long as the upper shell (carapace). Opportunistic feeders. Plant matter, carrion, and any living thing. Distribution Sources: 7, 11, 14, 24, 29, 72. 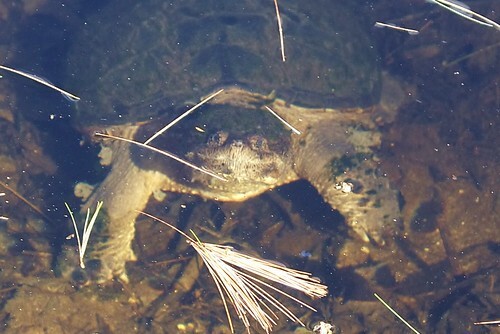 High levels of polychlorinated biphenyls (PCBs) were found in common snapping turtles in the Mississippi River in 1983. 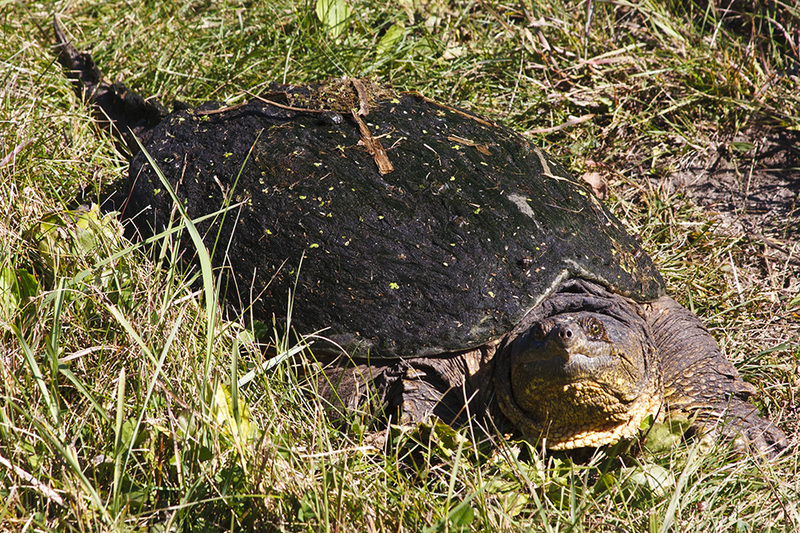 In 1984 the Minnesota Department of Natural Resources (DNR) listed it as a special concern species. In 2013 it was removed from the list. Three subspecies have been described in the past. Two have been raised to full species and the third is now considered a synonym. There are currently no subspecies recognized. Fort Snelling State Park. On the trail along the west side of Snelling Lake; I gave it a wide berth. State Rank Status: Widespread and secure. 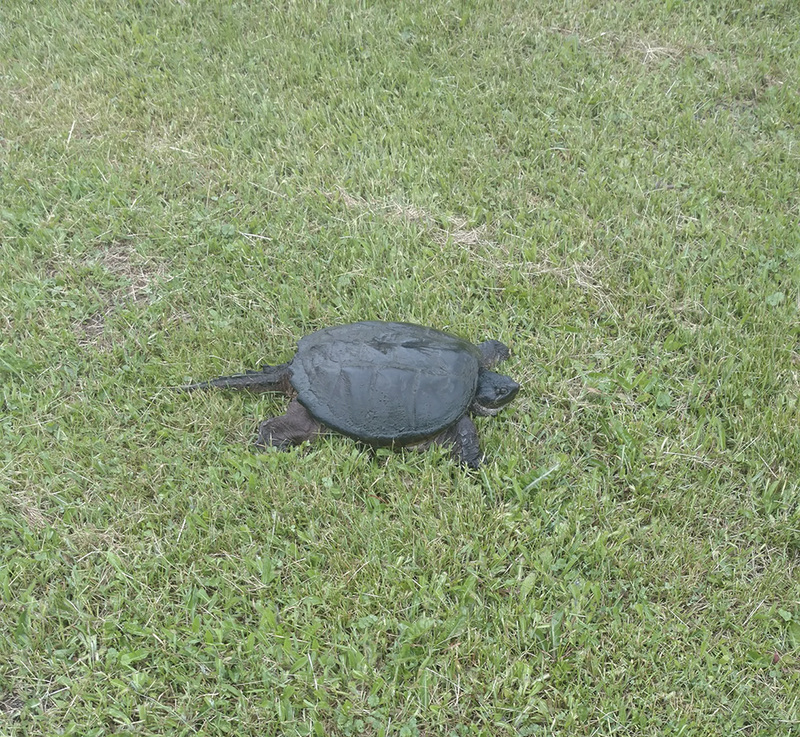 Description:A large turtle measuring 8-14 inches and weighing up to 70 pounds. 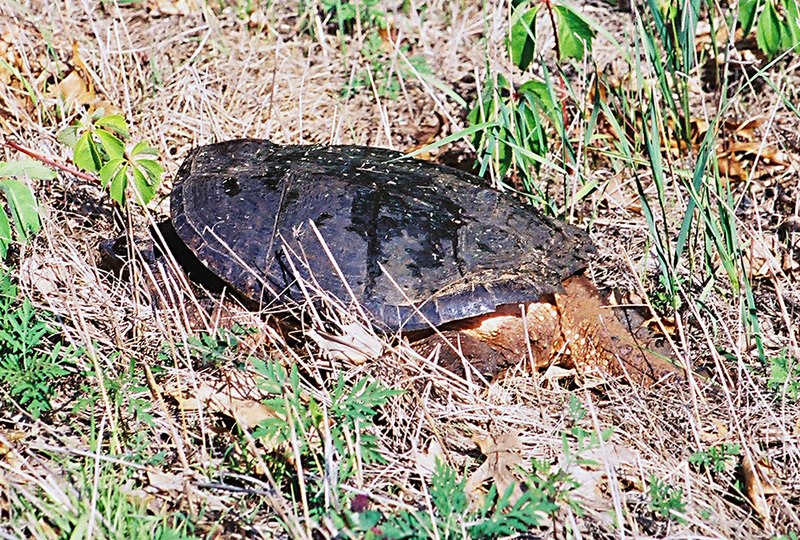 A rough carapace ranges in color form black to light brown. 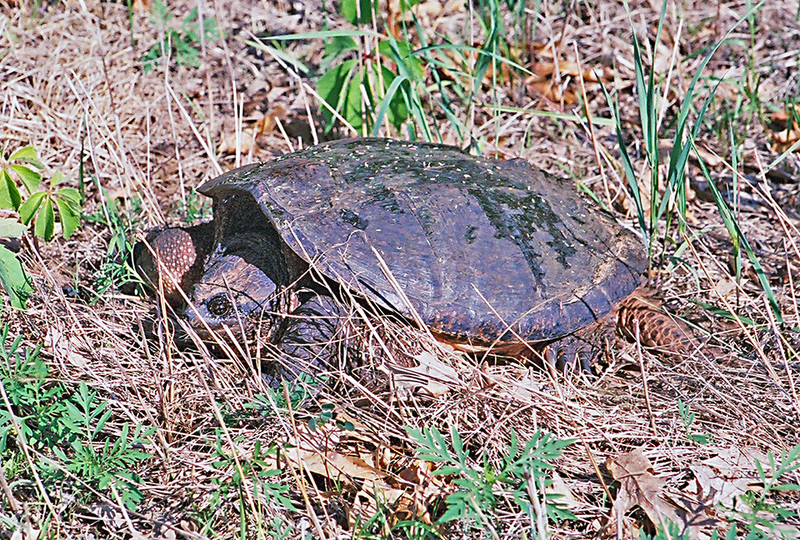 The head is large and the tail is long with a distinct saw-toothed edge. 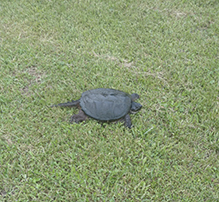 Commonly Confused Species: Juveniles may be confused with musk turtles and wood turtles. 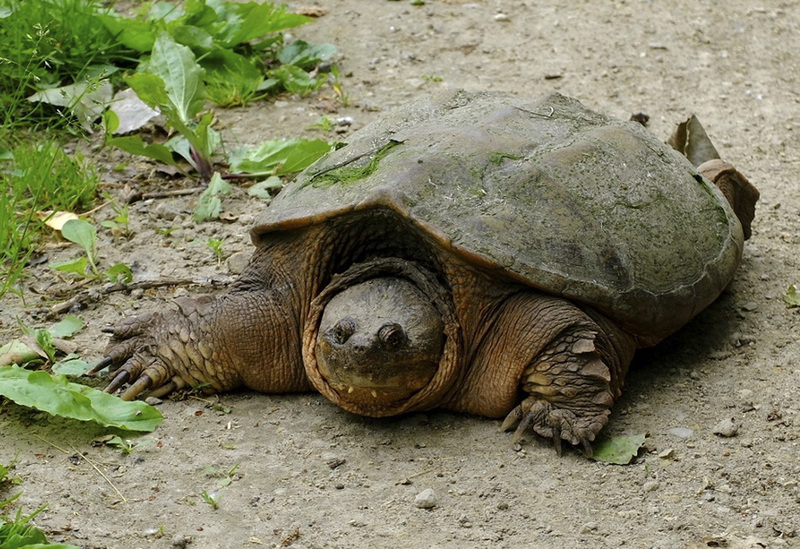 Habitat: Any permanent water body such as lakes, ponds, swamps, bogs, streams, and rivers, especially aquatic habitats with muddy bottoms and abundant submerged logs and aquatic vegetation. 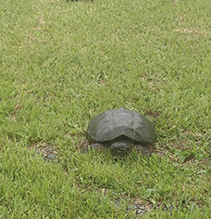 Use terrestrial habitats while searching for appropriate nesting sites and traveling among wetland habitats. 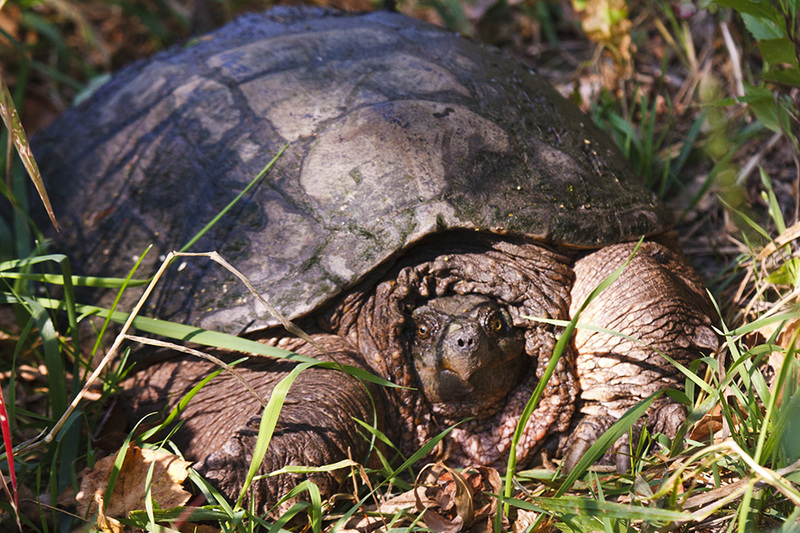 Life History: Lays 20-40 eggs in soil banks or sand and gravel piles in fields or lawns and may be several hundred feet or more from water. 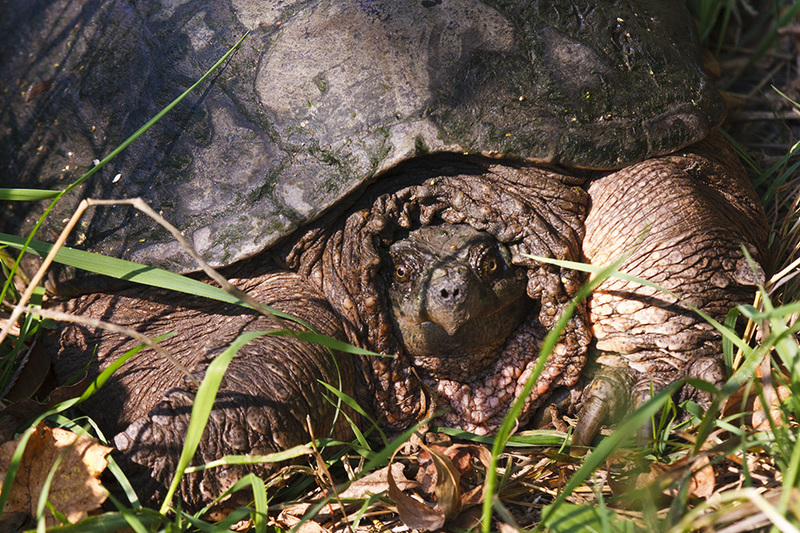 Hibernates in mud bottom or under logs or other submerged debris, sometimes communally. 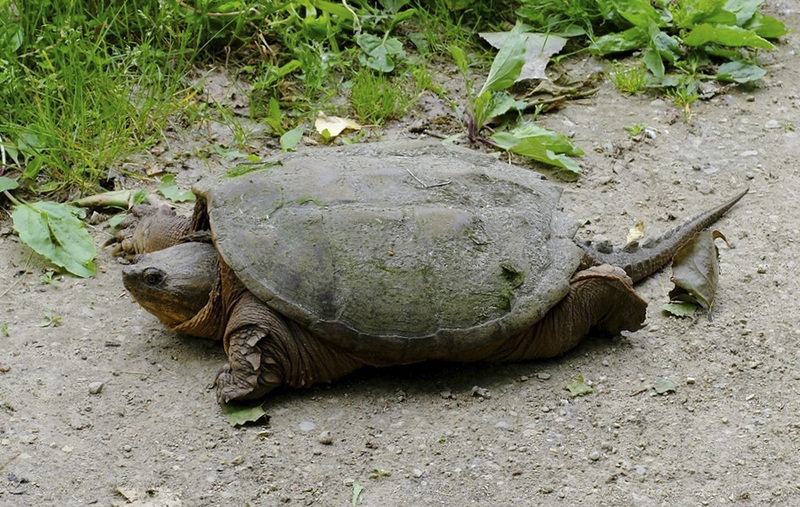 Conservation Threats: Water pollution, road mortality, habitat loss. 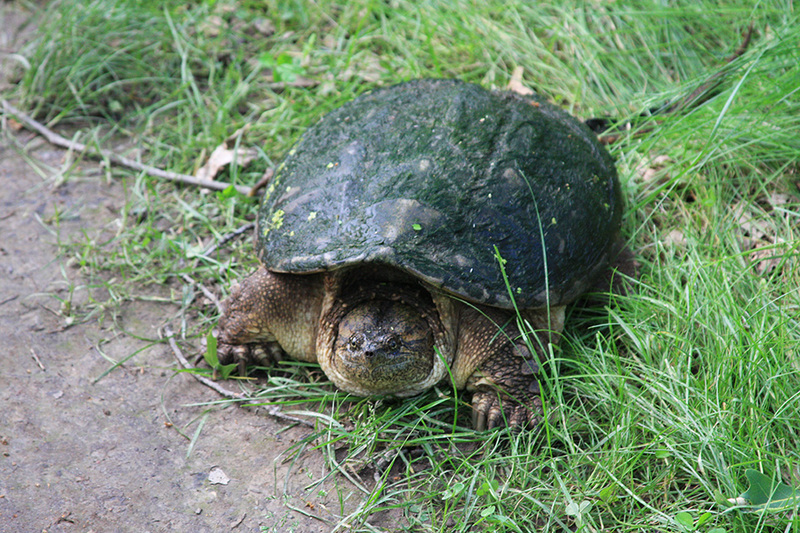 A Common snapping turtle is a large freshwater turtle. 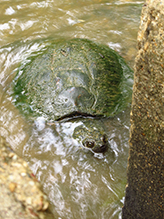 (Chelydra serpentina) They eat carrion (dead animals), plants, small birds and fish.They have strong jaws which can deliver a powerful bite that can take your finger off. So stay clear of their mouth. 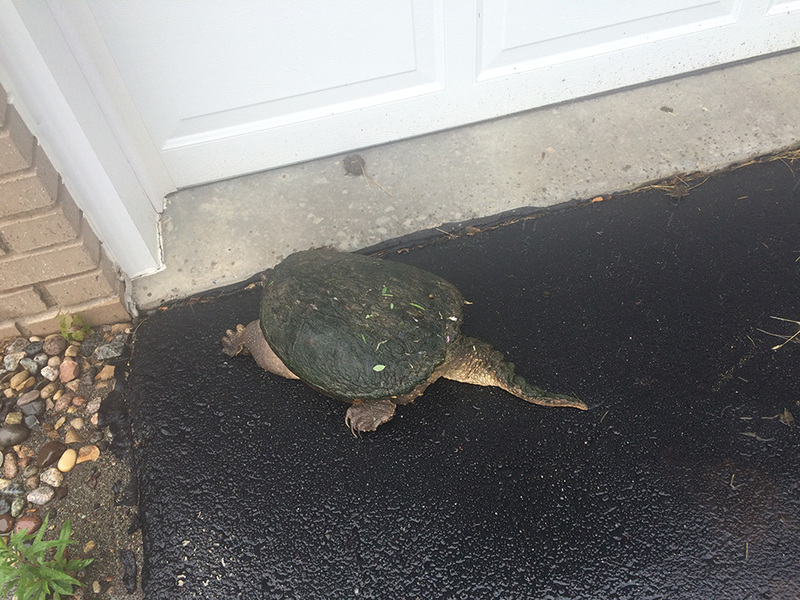 To see more video's about snapping turtles visit YouTube user: SnowWalkerPrime. 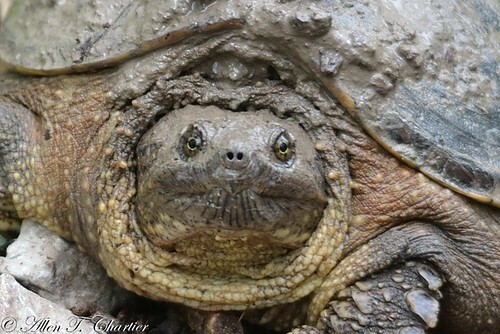 A contemplative look at the Common Snapping Turtle, which is a surprisingly common but seldom seen species that is found in rivers, ponds, and lakes in the upper midwest of the United States. Specimens shown here were photographed in North Dakota during the summer of 2009. Photographed near the Rydell NWR, Minnesota (27 May 2010). 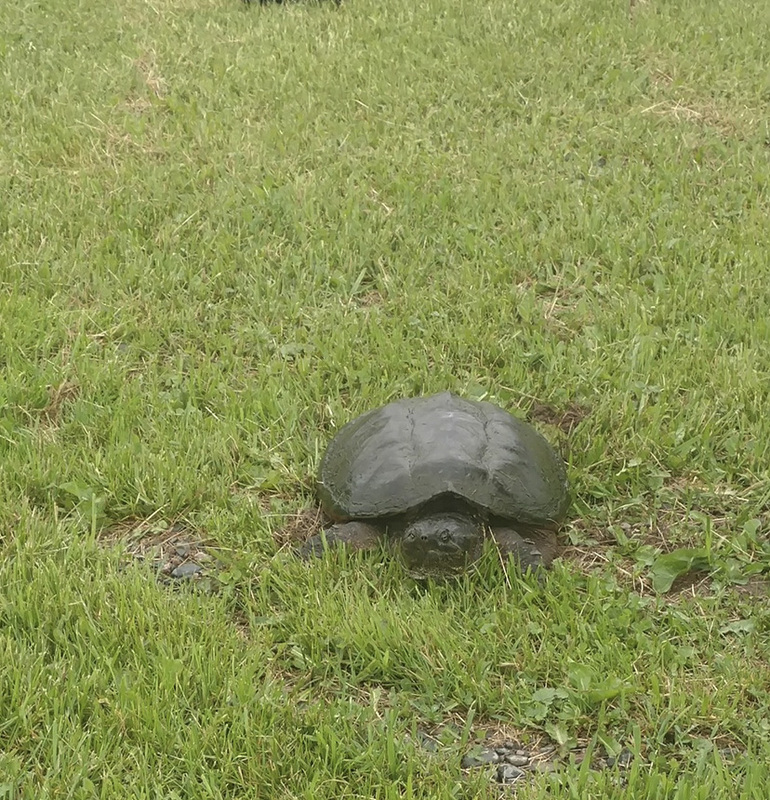 They are the largest of the freshwater turtles living in the United States and one of them tries to snap our Science Guy. 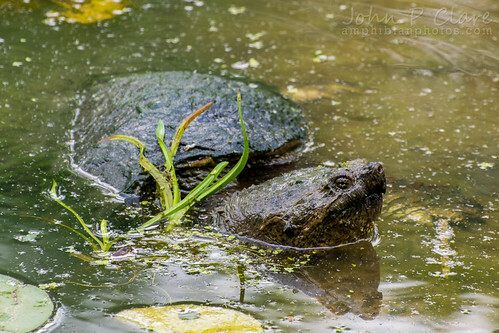 Jason Lindsey shows us a common snapping turtleone you might encounter if you are out and about in nature. 30' up on a bluff above water's edge. 1 and 3/8" shell length, no sign of where it came from. 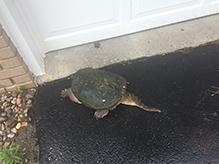 total of 4 approximately 1 inch snapping turtles observed 9/10 and 9/11 on black top walk path. Slightly sand covered and headed toward Rice Creek. On the trail along the west side of Snelling Lake; I gave it a wide berth.